Some templates become so close to our heart that we keep looking at them again and again. Such template makes us feel proud every time we look at them. 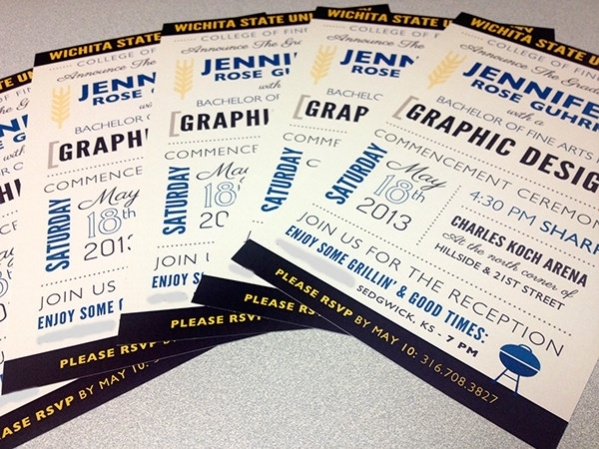 One such template is the Free Graduation Invitation Template. 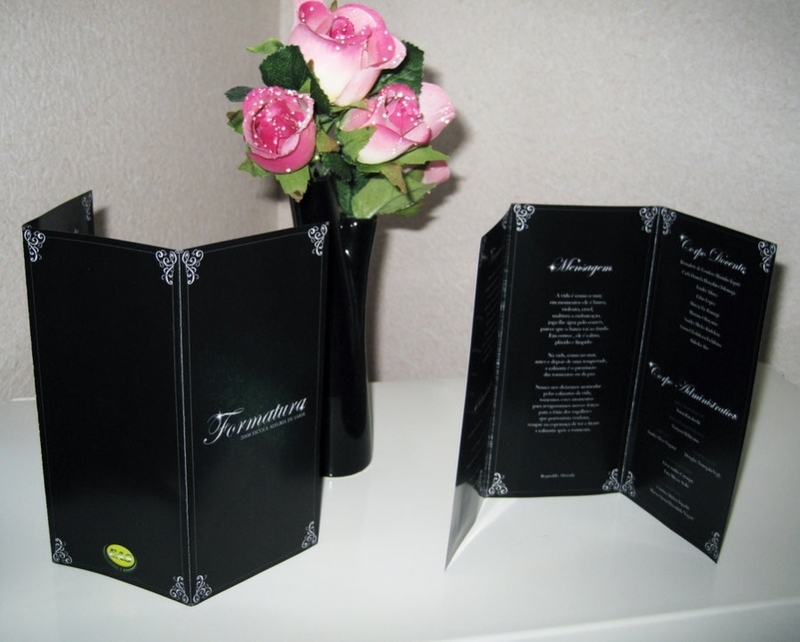 Free Creative Invitation Designs are available in many numbers to download from the net for free. Use these wonderful free invitation templates to download and invite people in all fun and frolic to your big day. You may also see Free Invitations. 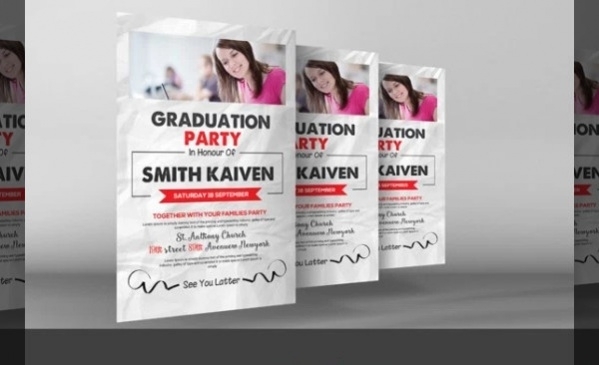 Free Graduation Party Invitation Template is a beautifully designed Invitation template. 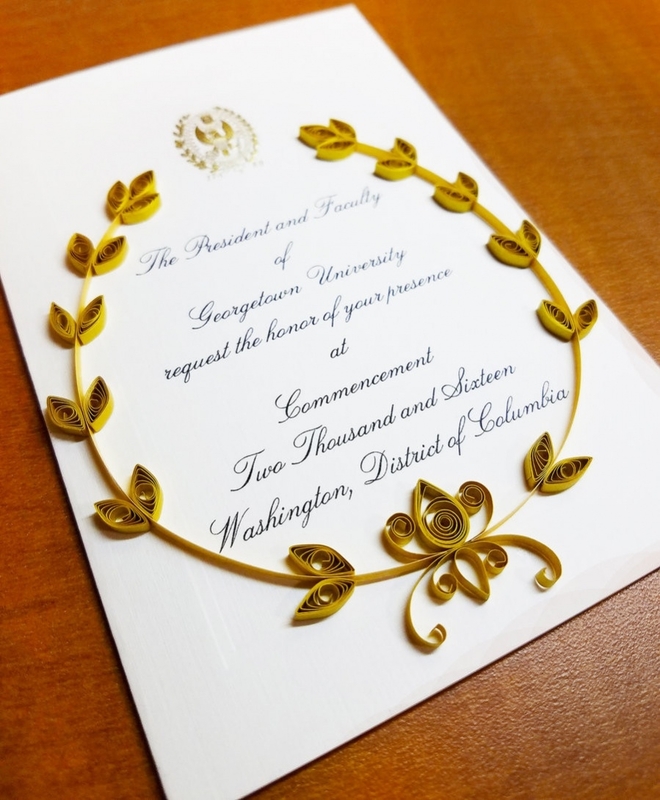 The invitation displays the photo of the person who appears to be holding the invitation in hands inviting others personally. 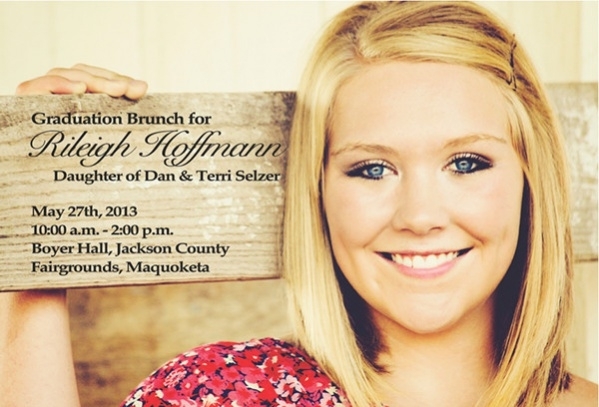 You may also see Graduation Party Invitations. 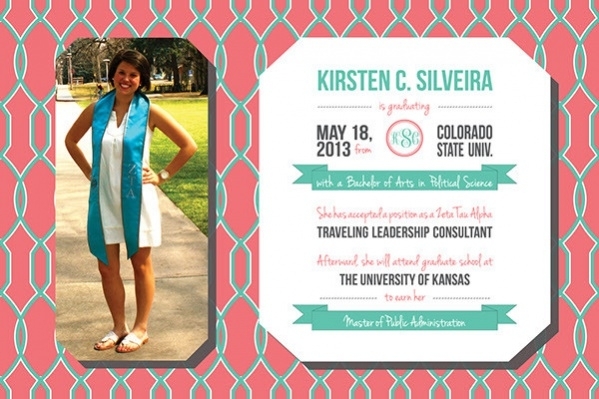 Free Printable Graduation Invitation Template is a simple but elegant invitation. With the graduation hat on the top and a congratulations message at the bottom it captures the name of the graduate. You may also see Graduation Cards. Free College Graduation Invitation Template invites all concerned for the Graduation Day to be held at the college. It provides details of the day, time and venue of the meet. 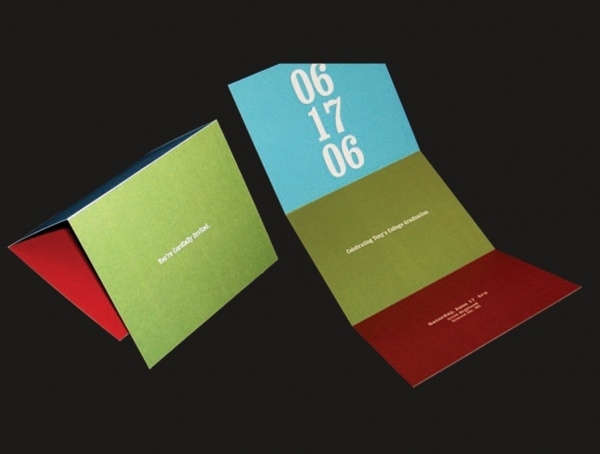 Free High School Graduation Invitation is a double colored simple invitation. It invites people for the High School graduation program planned to be conducted for students finishing High School education. 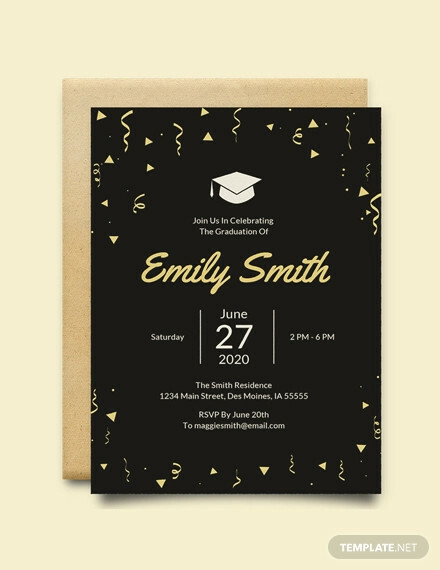 Free PSD Graduation Invitation Template is a professional looking invitation template providing all pertinent details like the name of the person graduating, venue, time and date of graduation to be conducted. 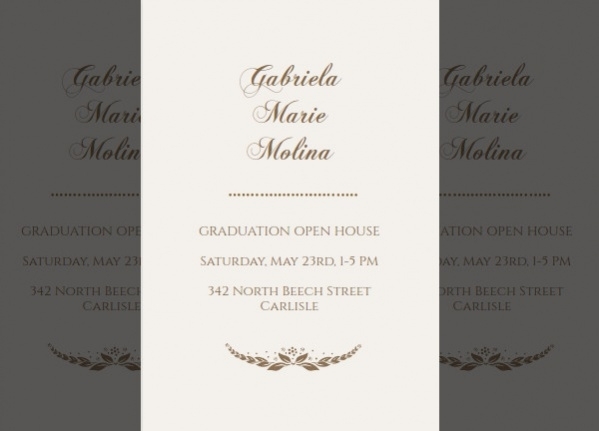 Free Graduation HS Invitation Template is a dark background card with letters printed in light coloured font in an elegant style. This template is highly attractive and looks absolutely neat. 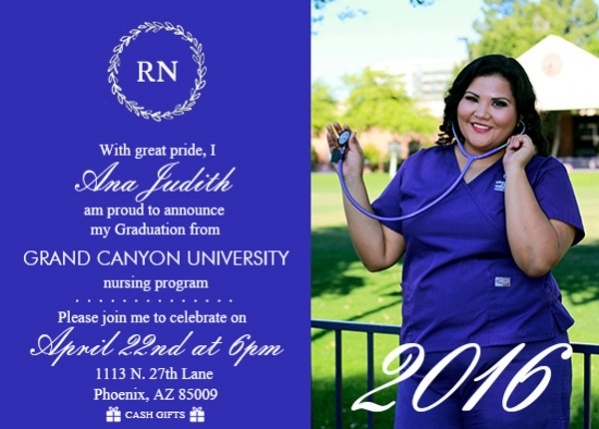 Free Nursing Graduation Invitation is a colorful cheerful template which has provision to display the picture of the nurse who is graduating covering the details on the other side of the invitation. 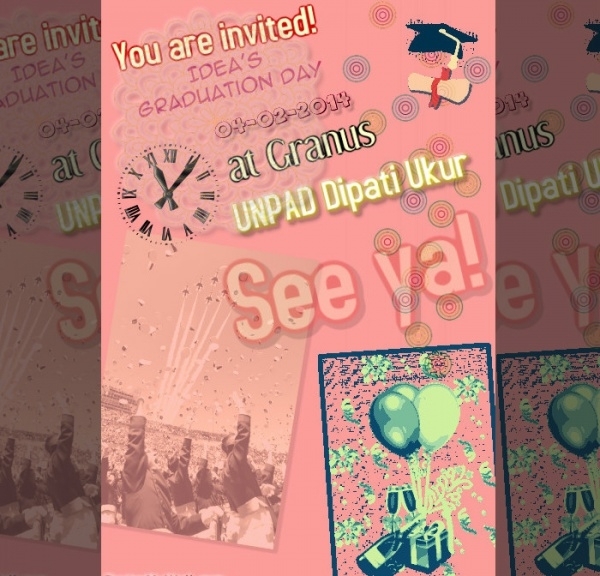 Free Photo Graduation Invitation is one that covers all necessary details about the graduation including time, date, and venue displaying the photo of the person graduating on the left-hand side. 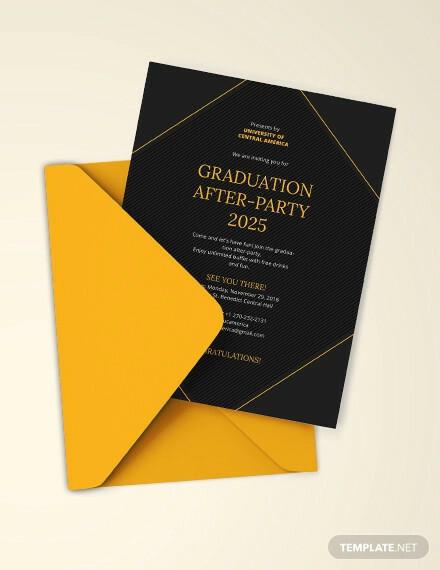 Free Graduation Dinner Invitation is a nice simple template that invites people to be invited to a dinner party celebrating the graduation of the person who has recently graduated. 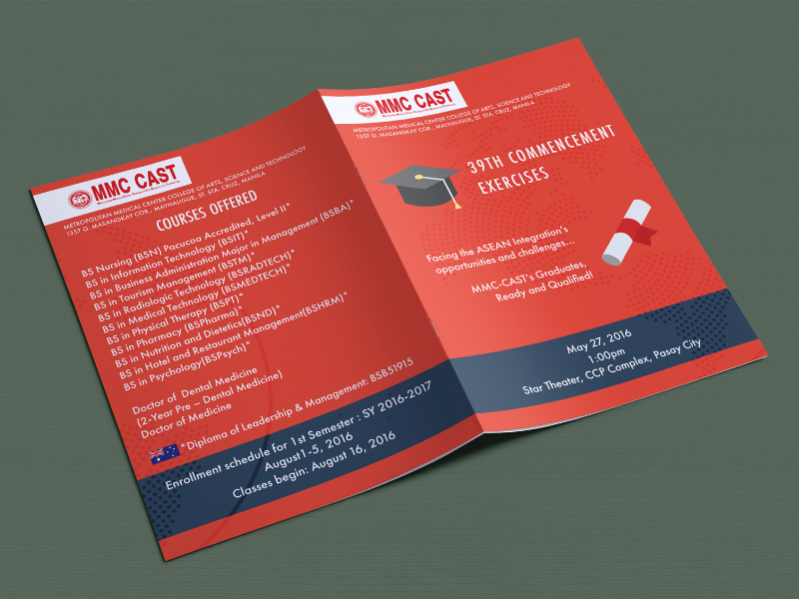 Free Unique Graduation Invitation Template is a foldable format where enough space is allocated to capture each and every aspect of details about the person graduating in a separate manner. 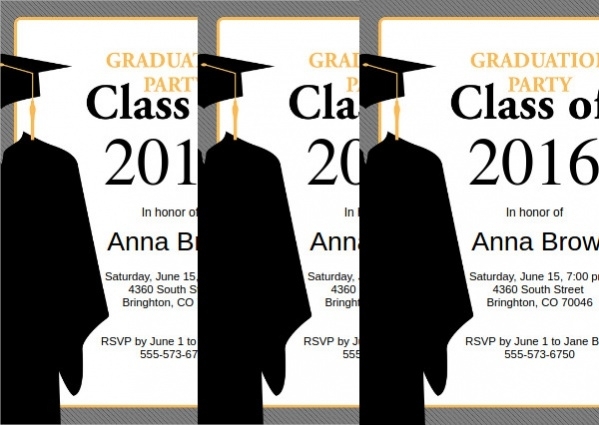 Free Classic Graduation Invitation has a classy touch to it. 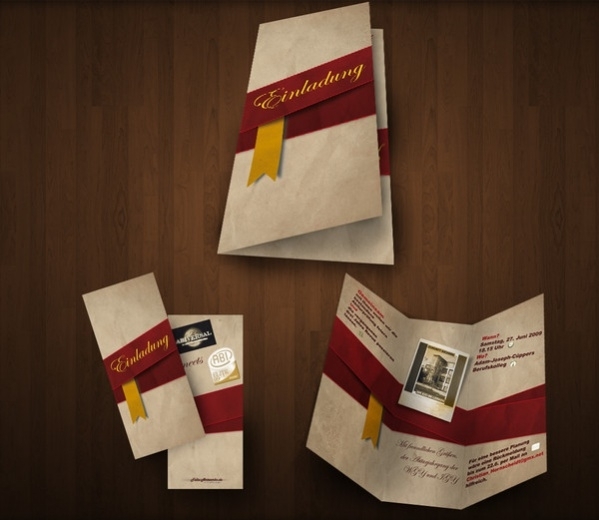 Be it the mild designs that run over the invitation or the magnificent finish off the invitation, this invitation template displays class. Free Homemade Graduation Invitation is highly artistic since it is home made. It uses simple material like dried leaves among the many others to give the invitation a decorated looks. 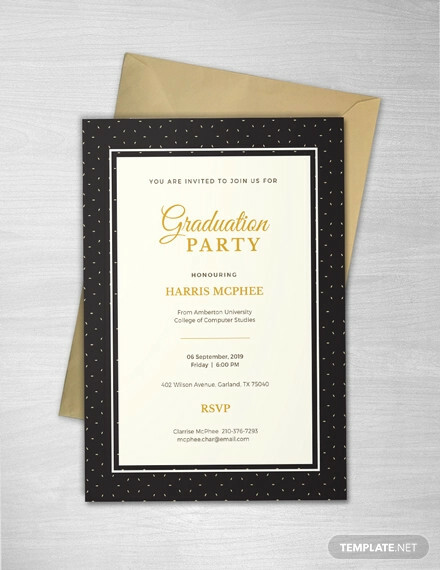 Free Formal Graduation Invitation Template has a professional finish and is highly formal both in terms of displaying contents as well as the fonts and neat designs used on them. 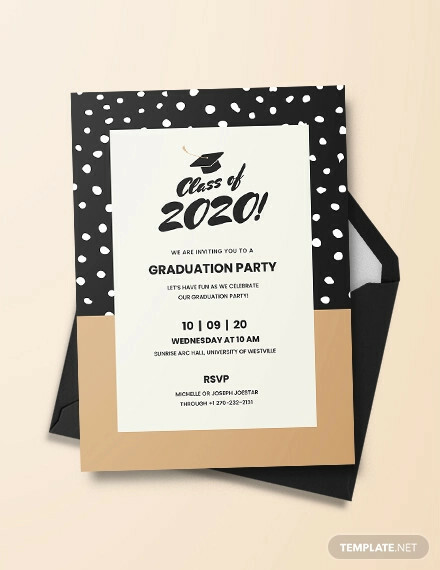 How to use these Free Graduation Invitation Templates? 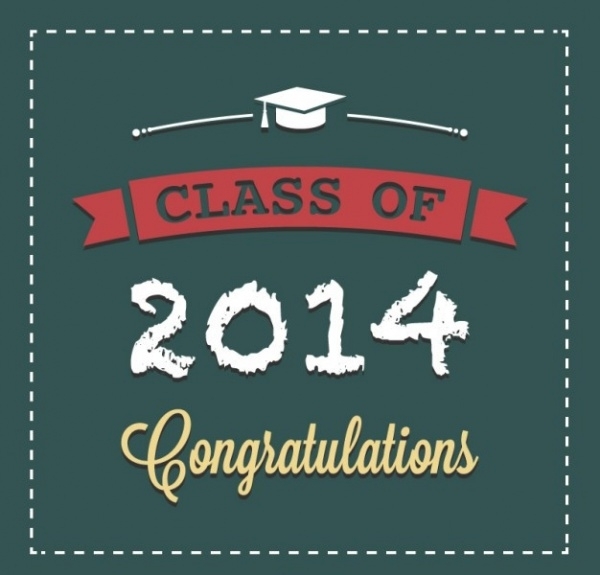 Free Graduation Invitation Templates are free to download. Download them and use them according to your requirement. These templates are provided for individual as well as the college use and so serve the purpose of both. 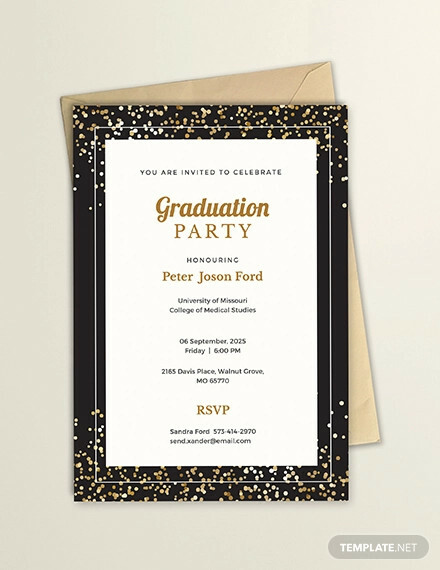 Free Graduation Invitation Templates are unique by nature and no two templates come with the same design or fonts. They offer the jubilance reflecting the mood of the graduation day. The funny ways in which some of these invitations are designed really make the environment light. 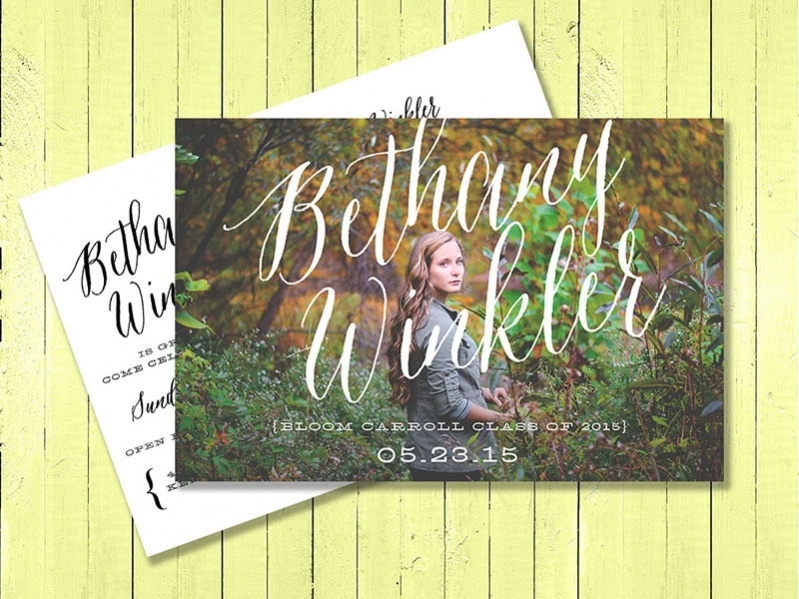 The bright and subtle colors used according to the nature of the invitation makes them stand out in the crowd. 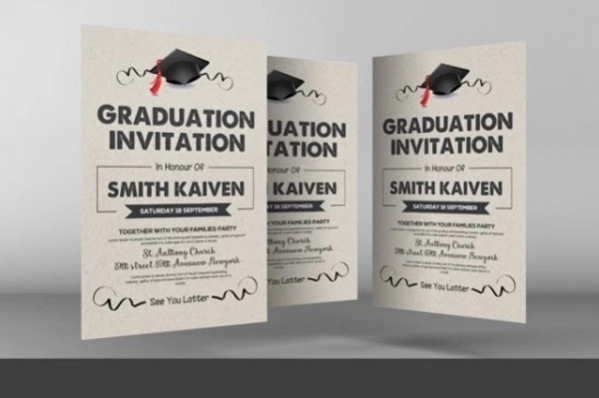 Download these beautiful and attractive graduation invitation templates that are available free of cost. Design them in your own preferred way giving them a personal touch. Look at yourself in the cards with details printed next to you about the much coveted graduation you have earned working in a tireless way.